If you want a blockbuster for the Christmas season, it's a great idea to hire a cast featuring some of the finest and hardest-working actors in the Bay Area. Scarcely a week goes by that we don't see Gabriel Marin or Rod Gnapp on a stage somewhere. Carl Lumbly has had a great year, with superb performances in SFP's The Motherf**ker With the Hat and the Magic's "Terminus." 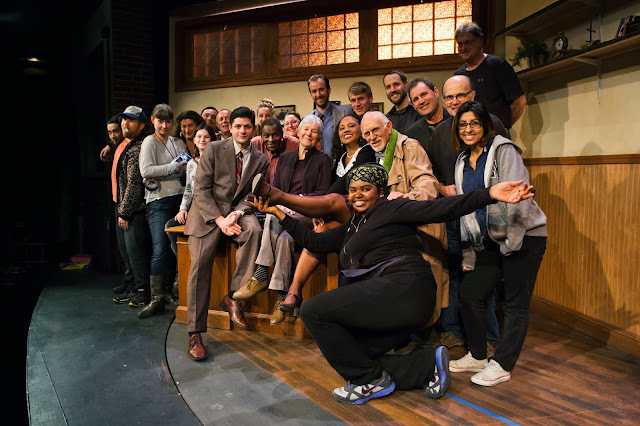 Add in old pro Ray Reinhardt, plus Derek Fischer and Gloria Weinstock and you have a cast that makes you understand why Bay Area theater has become such an ongoing treasure. Local rave reviews notwithstanding, we're not sure John Patrick Shanley's "Storefront Church" measures up to this cast. 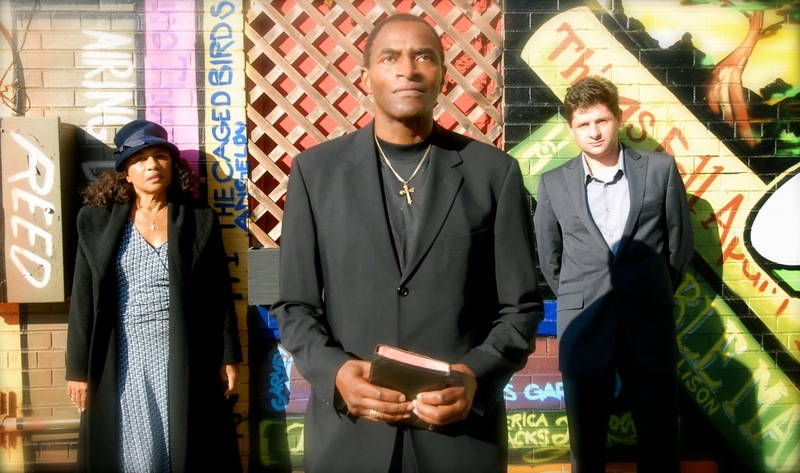 As the last of a trilogy (the Pulitzer Prize-winning "Doubt" was the first), "Storefront Church" once again talks about issues of faith and their intersection with the real world. 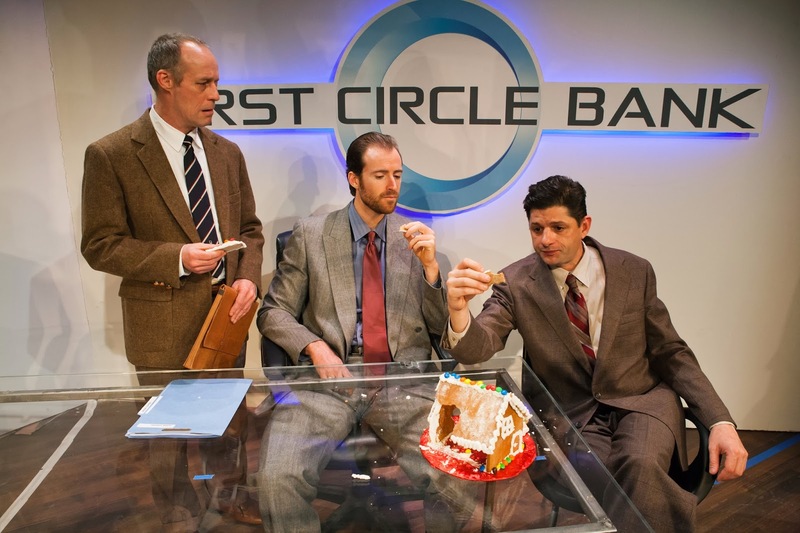 Act One introduces us to Reed (Gnapp, a bank manager) and Ethan (Reinhardt, an old man looking for a loan). We watch them interact with Lumbly's Chester, the depressed pastor of a new storefront church and Marin's Donaldo, the Borough President of the Bronx. 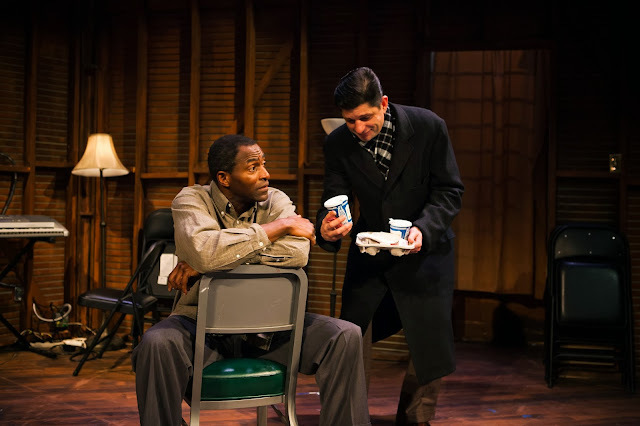 Donaldo needs Chester to pay his debts to Jessie (Weinstock), a neighborhood compatriot of Donaldo's. The plot is simple to understand. 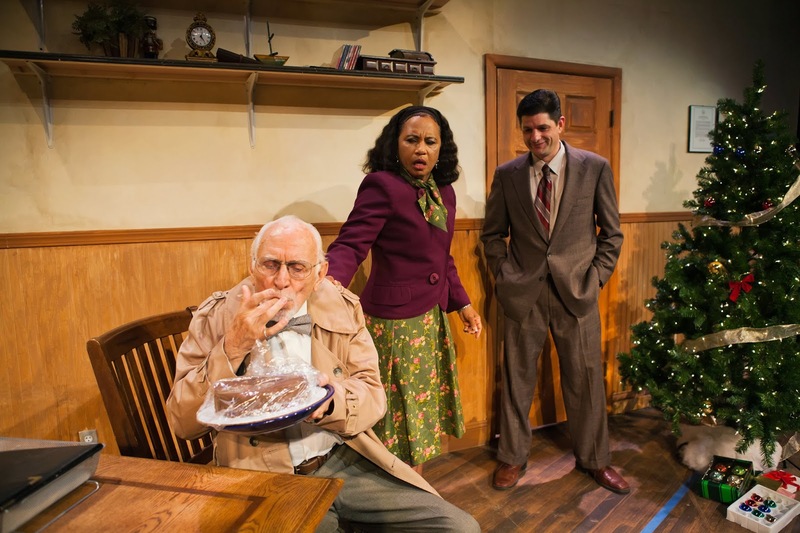 We get plenty of laughs at the goodhearted expense of religion and politics as we await Act Two. Granted, it's a Christmas show, so we're supposed to exit smiling and we do. But we also wonder how the action in Act Two became so stilted and the conclusion so improbable? The cast seems off-kilter. Lumbly is too self-assured to be so paralyzed, Marin is too morally conflicted to be Borough President, perhaps the most smoke-filled backroom job ever created, while Tom, while deliciously smarmalicious as the bank CEO, does not seem intellectually capable of pulling off his grand plan, which is to blackmail the Borough President in order to guarantee support on an ill-conceived construction project. Watching these actors is worth the price of admission. But there are a lot of loose ends. Faith always wins at Christmas. We could have used a little more devil. The San Francisco Theater Blog Awards Division awards "Storefront Church" Three Stars. 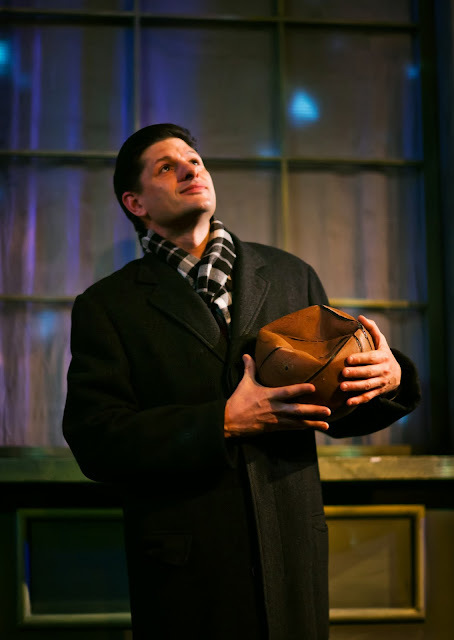 We especially loved Rod Gnapp, getting a chance for once to play a more nuanced character. Go for the actors: they're all good. The show is funny and wholesome, but feels like it might have been more.